We make and sell automobile parts that are customer-installed, and we have no control over how these parts are installed and/or used. For legal reasons, we must disclaim all warranties. However, if you have a problem with your part, CONTACT US! We want to know. And if a part does not fit properly, CONTACT US! These parts may not be for use on public roads; they are for off-road racing purposes only. Please check your local laws. The parts may be dangerous and may cause injury if used for any other purpose or otherwise misused. They may also be dangerous and may cause injury if modified, redesigned or altered before use. They should only be installed by an experienced professional mechanic. Valley Autowerks / Autowerks Suspension will not assume any liability for and will not pay you for any injuries caused to you or others by any misuse, modification, redesign, or alteration of our products. Valley Autowerks/ Autowerks Suspension makes no express or implied warranties of any kind with respect to these products. THESE PRODUCTS ARE SOLD AS IS WITH ALL FAULTS. THE ENTIRE RISK AS TO THE QUALITY AND PERFORMANCE OF THESE PRODUCTS IS WITH THE BUYER. SHOULD THE PRODUCTS PROVE DEFECTIVE FOLLOWING PURCHASE, THE BUYER, AND NOT VALLEY AUTOWERKS, ASSUMES THE ENTIRE COST OF ALL NECESSARY SERVICING OR REPAIR. Valley Autowerks/ Autowerks Suspension shall not be liable for buyer's loss of profits, labor, towing costs, storage costs, business goodwill, delay damages, medical expenses, or other consequential damages. 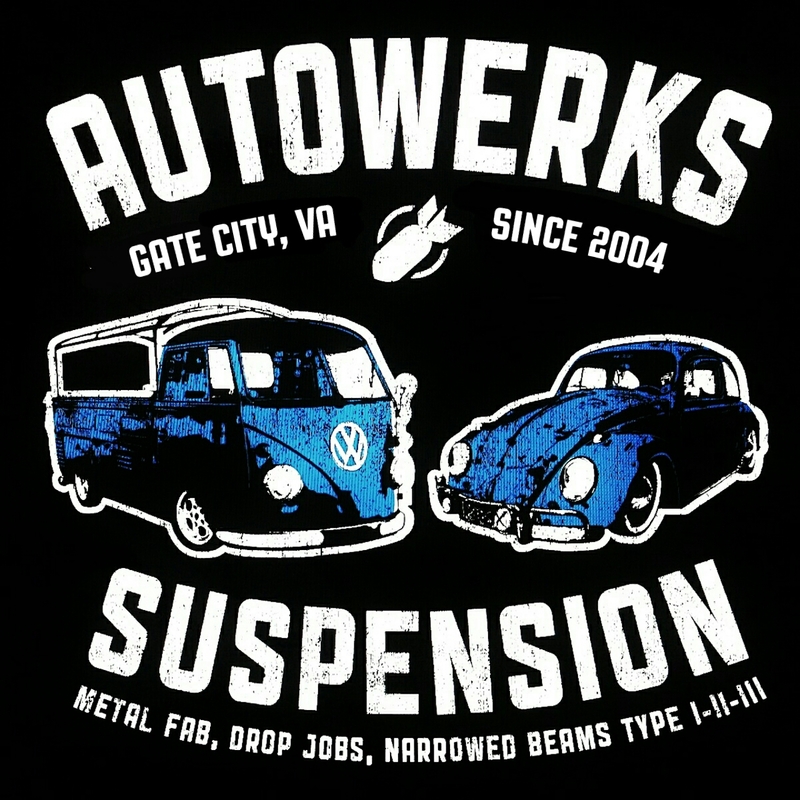 Valley Autowerks / Autowerks Suspension makes no warranty that the products are free of any person's claim of patent, trademark, or similar infringement. Buyer assumes all risks (including the risk of suit) that the products, or any use of the products, will infringe upon patents, trademarks, or copyrights. Please note, all sales are final. Unfortunately, we don't offer refunds or exchanges unless there is a defect upon arrival. Please double-check your specifications and bank account you place your order.